[Final Fantasy XV/ FF15] Comrades Patch: FF15's Multiplayer!? HomeFinal Fantasy 15 / FFXV[Final Fantasy XV/ FF15] Comrades Patch: FF15’s Multiplayer!? [Final Fantasy XV/ FF15] Comrades Patch: FF15’s Multiplayer!? Looks like Multiplayer's coming in for Final Fantasy XV! But what exactly does Square Enix have in store for the fans of Final Fantasy XV? Ever since the success of Final Fantasy XV, players have been watching closely on the patches. However, Square Enix pulled a fast one and revealed a new patch. For those who bought the Season Pass, they may be able to play the new “Comrades” Patch. While it’s not open beta, players get to play a closed online beta of this patch from August 3 – August 8. The Comrades Patch is a patch that allows the players to customize their own character. This includes changing the clothes, the looks, and even equipping one’s weapon of choice. 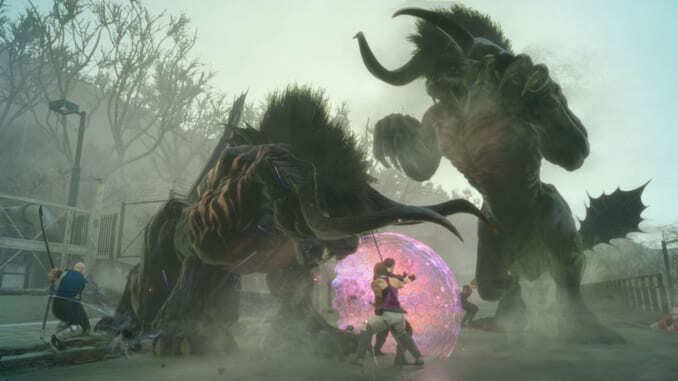 In this patch, players will have a chance to go on quests with Noctis and the party all around Eos. As the players create their own avatars, they are able to interact with the characters. This also includes cooking, talking, and even collecting Meteorshards with them. As of now, Square Enix has not revealed anything else about this particular patch. But there have been some suspicions that Final Fantasy XV may go multi-player. The exact date as to when is still unknown. Click here to check our wikia for Final Fantasy XV!